I love buying used gear. I have been amazed at some of the deals I have found on gear that looked practically new. But I have also had a few bad experiences and learned some lessons the hard way. Here are a few tips for helping you decided whether to buy the gear new or used and to help you find the best used gear. To lesson your environmental impact. 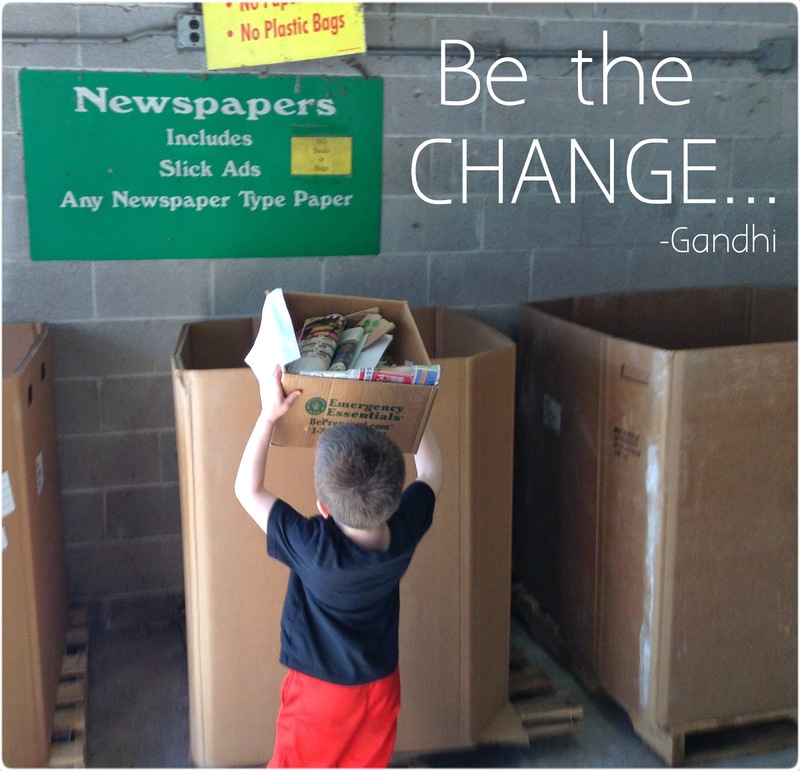 I love this post from Alyssa over at The Kid Project. I totally agree that American's are addicted to buying stuff. I know we use most of it but people have been living without it for thousands of years. Take a minute and ask yourself if you really need it or if you can make due without. Then if you need or really want it, consider buying used. If you have old gear, consider recycling. You never know who it might benefit. Traci offers some great ideas the her article How to Recycle Old Gear. When the gear will be used infrequently or for a short time but is still needed. Last year we lived in southern Indiana. We got snow but it didn't last for long and the most we ever got at one time was six inches. I still wanted snow gear for my kids but it wasn't worth spending a lot of money. We weren't going to be spending all day outdoors skiing or snowshoeing. I found snow pants for my daughter and boots for my son at a local consignment shop. Later, a friend gave me a pair of snow boots for my daughter. 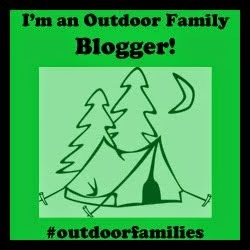 None of the gear was my favorite, but they worked and we were able to get outdoors, A LOT. Used coat, snow pants and boots. Not the best quality, but they allowed us to GET OUTDOORS! When trying a new outdoor activity. Buying used gear is a great way to try a new sport before investing a ton of money in brand-new gear. When I get into canoeing again, I will most likely buy a used canoe to start with. No money. Sometime the funds just aren't there to buy new. We have all been there at one point or another. If you find a great deal. I found a like-new Deuter KangaKid carrier for $25 at a local consignment store. I used it for my diaper bag for a year (that way I could hike whenever I wanted) and we still take it when we travel because it is so much smaller than a framed carrier. It wasn't something I was looking for but we have gotten a lot of use out of the carrier. 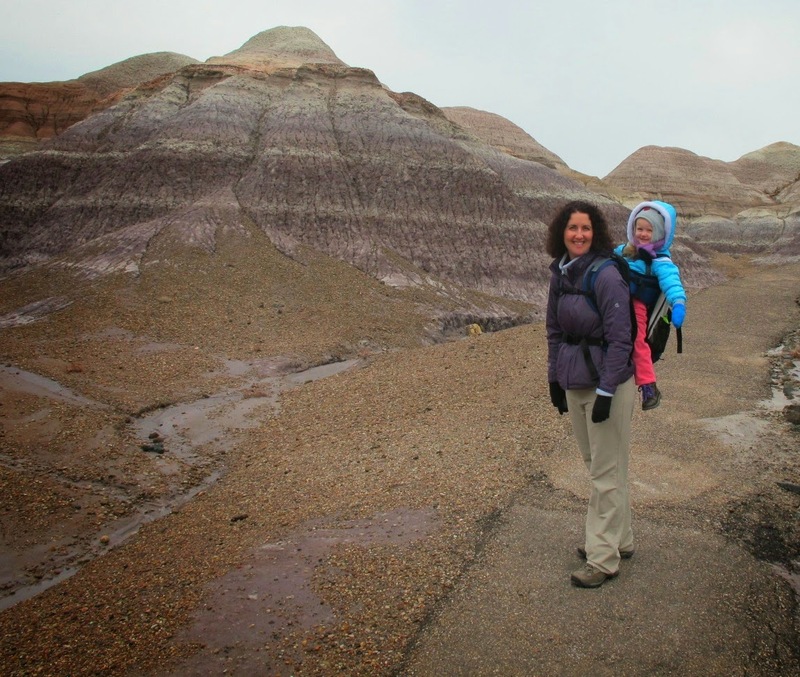 Hiking with our second-hand Dueter carrier at the Petrified Forest National Park December 2014. Once you have decided to buy something used, here are a few things to look at before you buy. Look for "professionals". I know this sounds odd but I bought my camera from a man who sells things on Craig's List as a source of extra income in retirement. He found an awesome, like-new camera and other items that went with the camera and sold them as a package deal. I could tell this guy was different than most sellers on Craig's List because he had a very detailed and lengthy add. I was nervous at first because I was afraid it was a scam but it turned out great. Look for package deals - As I said, I bought my camera used off Craig's List. It was great because the man selling it had found an extra battery and information book to include in the deal. The camera looked like it had never been used. I got it and the extra equipment for a fraction of the cost. Look for a parts list online and bring it with you when you purchase the item. 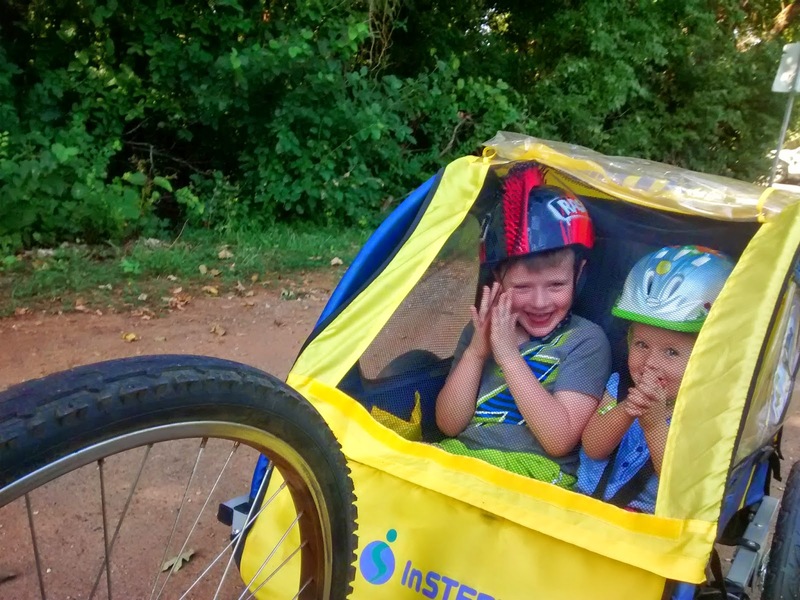 I bought a bike trailer for my kids and didn't check the parts list ahead of time. It turned out that an essential piece was missing. Fortunately I found the piece on Amazon for a decent price but it was annoying and I had to spend more money. Don't just look at the piece of gear. Pull on the seams, twist the straps, search every nook and cranny. Some pieces look really good but start to fall apart when you look closer and use the item. Be safe. Use your best judgment if meeting someone in person to purchase an item. Bring a friend or let someone know where you are meeting and make sure it is in a public place. Places to buy used gear. GearTrade - I haven't used them yet but they are an option. What about you guys, any other suggestions or tips for buying used gear?